It’s 6am and still raining after an all night lightning show. Eighty people are milling about in the dark with headlamps on laughing and telling stories as if it were 5 o’clock happy hour. I’d just arrived at Torreya State Park about 50 miles west of Tallahassee for the Draggin’ Tail 50k Ultra Trail Challenge. To my left is Vince; he’s won this race 7 times. He has raced all over the world including the Ultra Trail du Mont Blanc, a race that runs 103 miles through France, Italy, Switzerland and climbs over 31,000 ft. To my right is Charn, he’s also won this race and has done such races as Canada’s Fat Dog 120 mile run which climbs 28,000+ ft. And finally I’m chatting with Pat whom I’ve just met and he mentions that he just finished the Georgia Death Race just 2 weeks prior, a race that bills itself as the “68 mile course from hell”. You ask yourself why these guys would be sitting at the start of an unknown 50k ultramarathon in the Florida Panhandle? Well…these athletes seek out the most challenging terrain in America and the world and all live in Florida. Most would say that’s not saying much when it comes to Florida terrain but those people haven’t been to Torreya State Park. 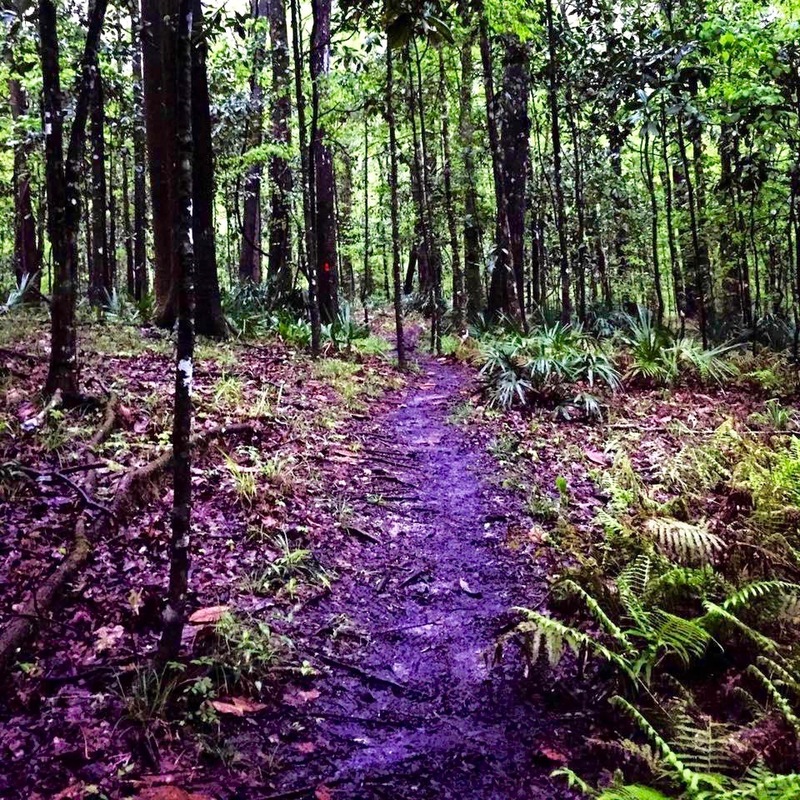 Unthinkably, even some of the thickest Florida hiking guidebooks don’t mention Torreya’s trails. 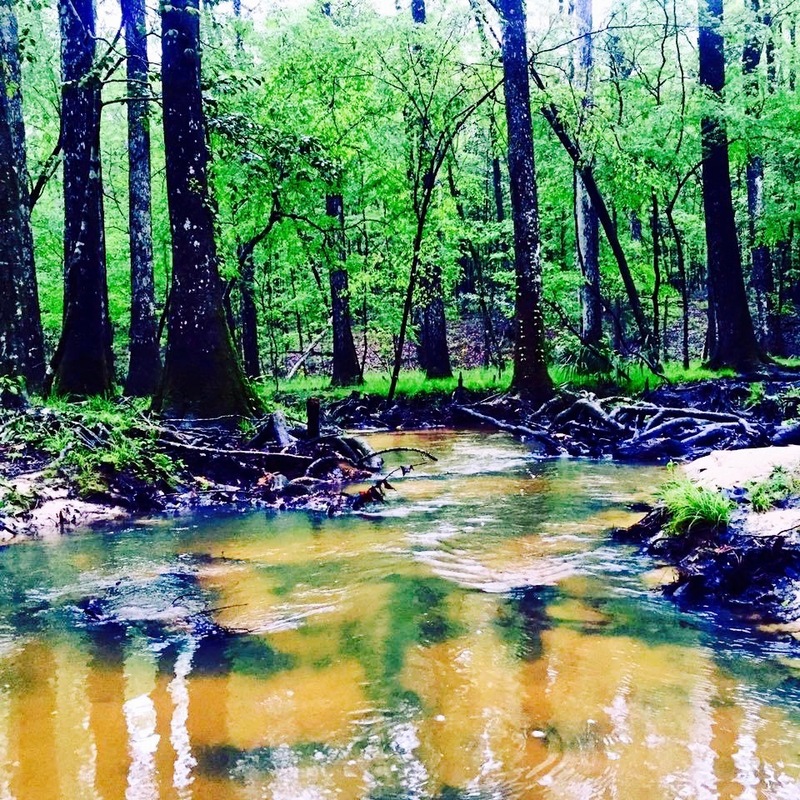 Torreya State Park is one of the original Florida state parks that were developed by the Civilian Conservation Corps (CCC) during the Great Depression. The site was selected to be a park primarily because it possesses significant historical links, including the location of six Confederate gun pits along Neal’s Bluff and an early 19th century cotton warehouse at Rock Bluff Landing. The park was also named after the rare Florida tree. Modern scientists report that the Torreya tree is one of the oldest known tree species on earth. There is said to only be 200 of them left. The race has very limited entries due to the parks role of protecting the 4 unique ecosystems the race director has seamlessly connected. Getting into the race isn’t like most races. It usually requires you having to know somebody who has done it themselves. After all the start line banter, the director yells go and the race takes off at a conversational pace but quickly picks up speed. I carry a 20oz handheld bottle to fill with water and was loaded down with energy gels. I plan on taking in 200 calories per hour. The trick is to take in a little at a time to give yourself a steady source of fuel. The course is spectacular. With the previous night’s downpour, we run through muddy cypress swamps and knee-deep creek crossings, then climb out via big and steep red clay bluffs along the Apalachicola River, and then finish in the pine wood uplands. All along the way, the elevation change never relents. I cross the finish line muddy, battered; sore from kicking never-ending roots and top out at close to 4,000 feet of elevation gain for the day (unheard of for Florida). I leave Torreya State Park deeming it the Himalayas of Florida…and Vince champion yet again.